This fun, small group total body workout combines interval training with Pilates for a total of 50 minutes. The instructor can make some modifications to the workout to accommodate your current fitness level. The workouts will vary every week, with the goal of increasing cardiovascular conditioning, improving spinal mobility while building muscular and joint strength, agility, coordination and cognitive function. This class increases lean muscle, improves stamina, reduces body fat, and increases energy. This fun small group class combines strength training with static and dynamic conditioning with yoga for a total of 50 minutes. The instructor can make modifications to the workout to accommodate your current fitness level. The workouts will vary every week, with the goal of building joint stability and strength while improving core balance, agility, coordination and cognitive function. 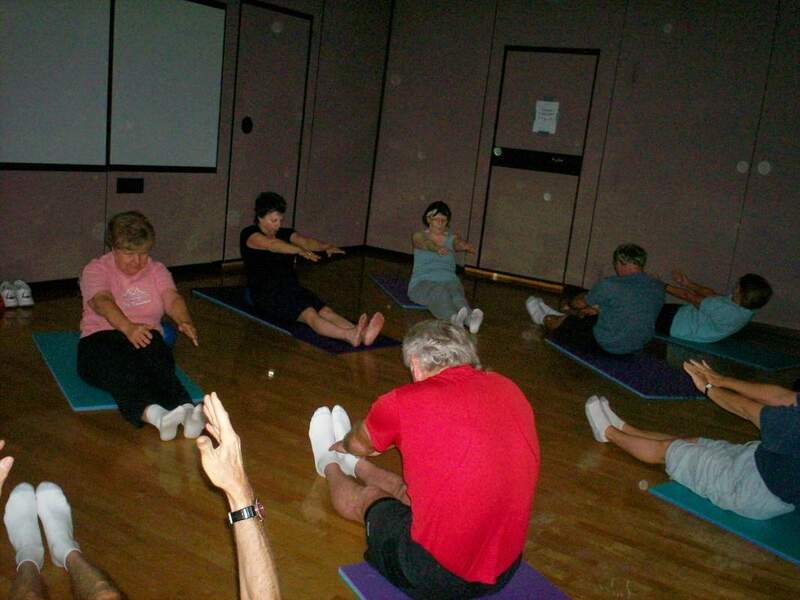 This class improves flexibility and balance, reduces stress, increasing strength and over all fitness. To register for class, fill out the form below. We'll contact you within 24 hours. Healthways, SilverSneakers and FLEX are trademarks or registered trademarks of Healthways, Inc. All rights reserved. © 2016 Healthways, Inc.